Established in 1878, Dyce-based manufacturer Woollard and Henry initially began operating in the papermaking industry. The company developed a notable portfolio of paper forming products such as dandy rolls, the cylindrical mechanism used for imprinting watermarks in paper, and was renowned in the industry for its quality, reliability and skill. However, in the early 2000s, Scotland’s once-thriving paper sector was in decline. Woollard and Henry was struggling and, unable to find a buyer, the family owners were preparing to shut it down. Employee ownership was raised as a potential solution, and with strong support from an eager workforce, an employee buyout was completed in 2002. 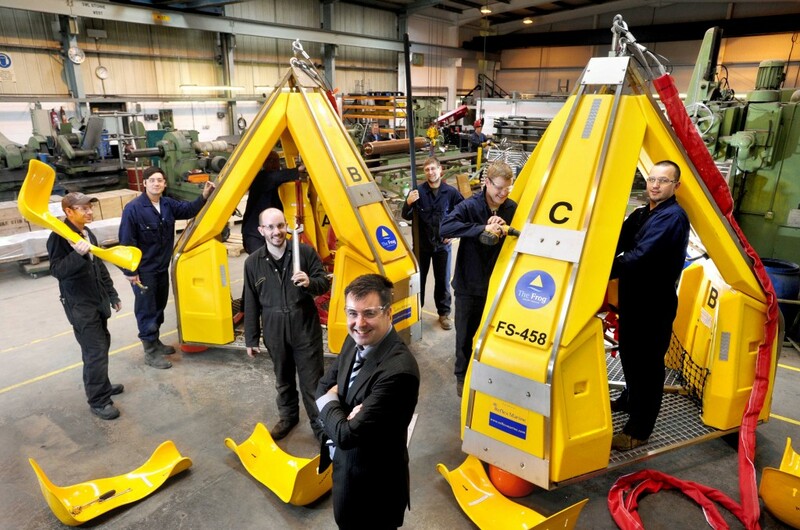 We caught up with managing director Fred Bowden to hear about the company’s success since. “When the prospect of an employee buyout was first raised back in 2002, there were around 20 staff, all of whom saw a future for Woollard and Henry and the unique skills and expertise it could offer. They fully embraced the opportunity, being very supportive of the move to employee ownership and passionate about keeping the business going. “The workforce’s newly-held stake in the business helped drive an overwhelming response to the company’s need to diversify. Taking advantage of our location in an oil and gas stronghold, it was recognised that our core skills of high-end fabrication and engineering could be transferred to the energy sector. We adapted our strategy accordingly, with the fabrication of personnel transfer vessels for the offshore energy markets in addition to its range of papermaking and watermarking equipment. Woollard and Henry team with managing director Fred Bowden pictured with ‘Frogs’ – a crane-assisted personnel transfer pod for oil and gas industry platforms. This entry was posted in BLOG on June 28, 2018 by CDS Admin.